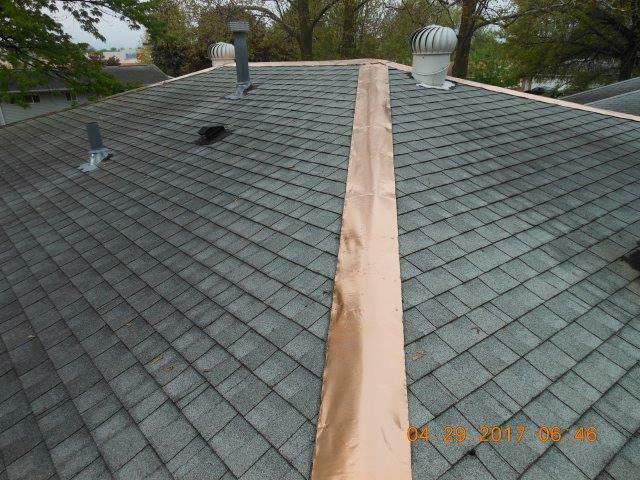 These copper strips are meant to be nailed on the top of roofs at the ridge line to extend the life of asphalt shingles. 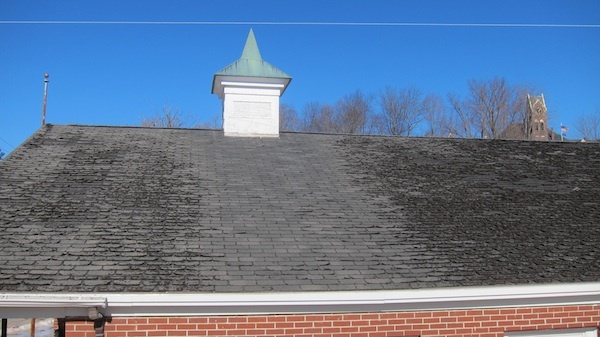 The strips can be nailed over existing cap shingles, over existing ridge vent or they can be installed in place of cap shingles in a new roof installation. On hip roofs, the copper strips need to be installed along the entire length of each hip. The copper almost always weathers to a deep nut-brown color within a year and in many cases can't be seen from the ground because of the low profile. AsktheBuilder.com founder, Tim Carter, discovered that copper ions prevent asphalt molecules from cross-linking. If too many asphalt molecules cross link, they become brittle and inflexible. Asphalt shingles that don't have copper washing over them will oxidize and start to lose the colored granules, they'll curl and start to crumble. Carter explains all this in his recent book Roofing Ripoff - Why Your Asphalt Shingles are Falling Apart and What You Can Do About It. CLICK HERE to order a PDF electronic copy of this book so you can SAVE YOUR ROOF.